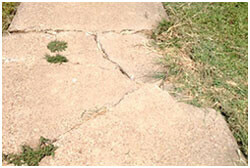 Need Cracked Concrete Repair In Coppell or Driveway Repair? Hire Contractors. If you require concrete repair in Coppell, TX or driveway repair service, enlist contractors that minimize costs and stop all kinds of problems. For free appraisals, call HD. 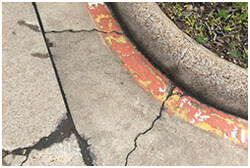 We perform concrete repair in the Coppell area as well as offer driveway repair service you can count on us. 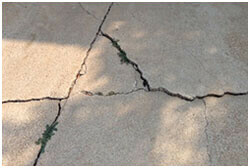 We’re known for expert concrete crack repairs on many surfaces. Having your damaged areas fixed ends problems by restoring all or part of your concrete surfaces to their original condition. This prevents moisture from entering gaps. Due to hot weather, rain or drainage problems, cracking commonly occurs in walkways, retaining walls, curbs, patios, parking lots, driveways. By hiring expert concrete repair contractors in Coppell that are driveway repair contractors, too, you can terminate all kinds of trouble. It’s important to remember that having your concrete restored now will prevent the damage from getting worse. That’s why you should stop any common concrete repair issues right away. Broken, uneven concrete is not only unsightly, it can also be dangerous. Because fractures grow in size, they will become more costly to deal with later. You’ll want to learn what concrete repair costs in and around the Coppell area. If you need your surface paved, discover what concrete driveway repair costs, too. Why Hire Concrete Repair Contractors For Driveways? One reason why you should recruit contractors is because they have the know-how, tools and major equipment needed to fix your concrete driveway cracks or other surface. It’s one thing to have tiny fissures that can be sealed with an inexpensive sealant, and another thing to have a highly damaged concrete surface.When repairing major damage, portions of your driveway, walkway or other concrete area may need to be saw cut, removed and replaced. In some situations, concrete should be pumped into holes in your surface. Of course if you want a company to pour or pave a new concrete parking lot or driveway in the Coppell area (instead of performing parking lot repair or a similar service), you’ll definitely need to hire a contractor like HD. We perform a wide variety of services. The best way to find out what’s involved with fixing your concrete surface is to ask HD to evaluate your property. We’ll be happy to stop by and perform a thorough inspection on it. So why wait? Schedule a free estimate on concrete repair or driveway repair in the Coppell area online today and stop concrete cracks.